August 21, 2014 March 2, 2015 Nicolle1 Comment on Let’s Talk About Loncon 2014! Let’s Talk About Loncon 2014! 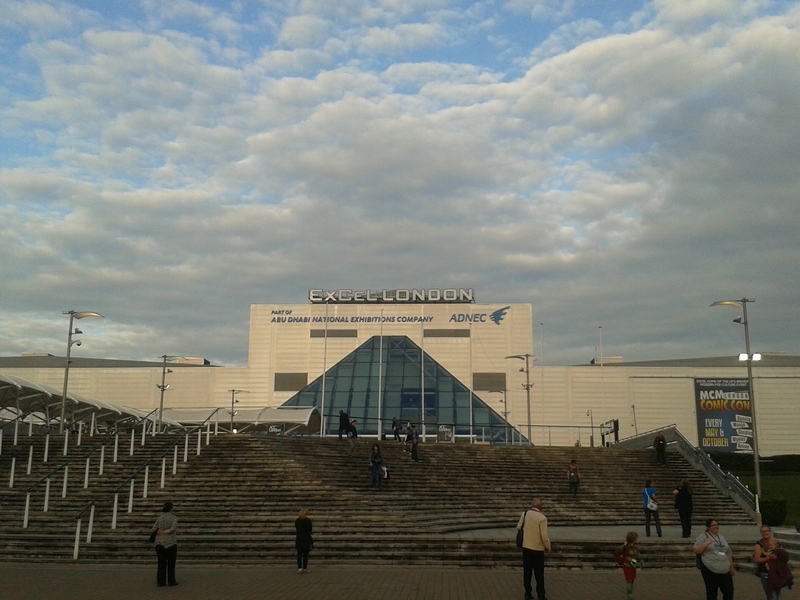 Loncon (14-18 August) is the 72nd edition of the World Science Fiction Convention or “ Worldcon” . This convention has a long fan history and is best known for the Hugo Awards, which are presented there every year. This year, I had the honor of attending the convention as a guest and scholar. The convention was visited by several thousand guests. Loncon is a convention that primarily features panels and focuses on constructing a dialogue between fans and professionals. As a convention, it has a long history, so it should not surprise you that it draws visitors of all ages. In fact, I often felt quite young at this convention, where there were so many longstanding members of SF/F community present. This was also sometimes a source of unease to me. Even though I have my PhD and have participated in fandom for many years, many fans were older and frequent visitors of Worldcon. For me, this was the first Worldcon, since the convention is often held in The States. While I go abroad for fan conventions quite often – including Japan and The States – I have visited venues such as Otakon and Dragon*Con. They were at a more convenient time for me and often easy to combine with work. 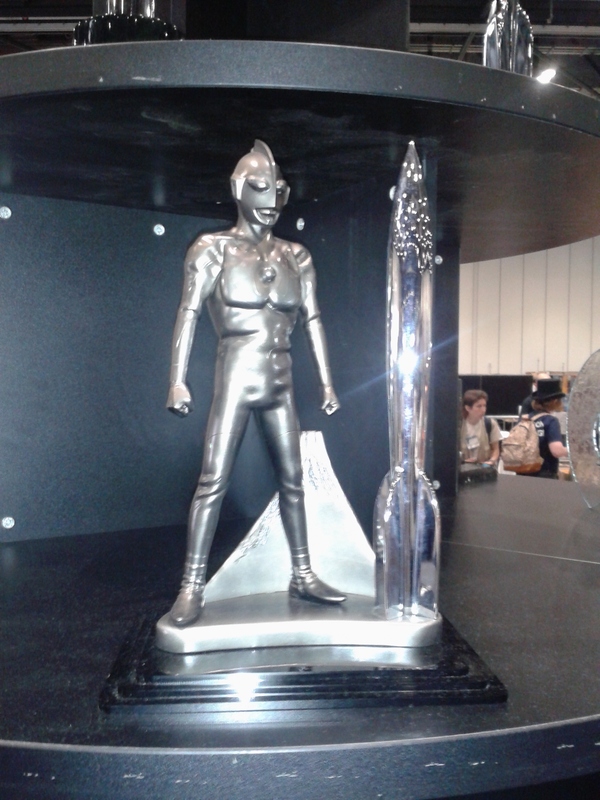 Other than panels, Loncon focused on events such as the Hugo Awards (as featured below), filking concerts, various dances and parties, and of course readings. I attended one by George R.R. Martin, who presented his new book on the lore and history of Westeros. In related news, one of the Hugo awards for best television episode went to the red wedding episode of Game of Thrones. The writers accepted it in person, which was marvellous to see, after they beat about four Doctor Who related nominees. My personal highlight was a concert by Philharmonic Orchestra which was simply excellent. Their repertoire included the themes from Doctor Who and Star Trek, but also from Kingdom Hearts, and were performed by an outstanding ensemble for nearly 3 hours. At Loncon – and this might the Dragon*Con visitors among you – there was only one video room, but with interesting screenings of classics as well as indie SF/F. At Sunday, when I was all worn out, I went and sat down there for LFO which turned out to be one of the best movies that I had seen all year. A movie about brainwashing in the spirit of Kaufman, which I can highly recommend to anyone. In the ‘ fan village’ , fan organizations and conventions had tables and provided updates. My colleagues and I often had beers at the tent of Organization of Transformative Works– an organization near and dear to our heart. Many of us have published in its related journal (TWC) and are active as volunteers in one way or the other. The fan village sported two life-sized Tardis replicas as well, and it was an area where for instance Quidditch was played in the morning. The dealer room was small, but interesting, and included an art show, which featured drawings as well as costumes. As a guest, I participated in various panels, some of which were very academic and others not so much. Luckily I’m no stranger to hosting fan panels at fan conventions, so I didn’t mind sitting in a couple of them. Still, the panels were not quite the ones that I was used to. The Worldcon events often had about 5 panelists. Other than academics, professional (screen) writers, critics musicians or artists participated and regular fans. This also made it a joy to contribute, since it was a nice chance to meet new people. One of my favorite panels was the one that we did on videogame love at Thursday evening. Though the panel was held fairly late, the room was full and enthusiastic. This panel was hosted by a small portion of our game love group, that are publishing an anthology at McFarland in 2015. Andrea Philips, the designer of Zombies Run, was also present and a lovely woman in real life. We also played a love game during another slot the next day, which also went well. In the game (designed by Ashley Brown), players get various cards with mechanics, skills, characters and levels, and have to sit together to invent a game. We got some really bizarre pitches that involved titles such Link: The Quest from Hell, and Truckpuncher, in which you indeed punch trucks. Some of the other panels that I contributed to where Worldbuilding through Music, Cosplay is Not Consent, Cosplaying Out of Type and Commercializing Fandom. In all cases, I met the most lovely people and had a good time. The dialogues with the audience were often great. Cosplay is not Consent was the most fruitful panel for me as a convention organizer, since we walked through some of the concerns in cosplay. How to prevent harassment of teenagers in costume? What should be the rules for photography? How can we make the code of conduct more visible for new visitors? Should cosplayers change their behavior in any way? My academic talk on Monday was exciting too. A chance to speak about the board game of Battlestar Galactica and its many qualities. The two other panelists had dropped out for various reasons, but luckily we had a video and Bethan Jones channeling our colleague Bertha Chin. Our panel focused around the anniversary of BSG and discussed its transmedia strategies. We had a good time and I hope that maybe we can pack together to rework this into an article of some sorts. The theme of the convention was diversity and I attended a lot of panels that constructed a dialogue about media representations and fandom itself. The events ofte addressed gender, sexuality and ethnicity. The quality of the panels varied, but I also got the impression that in some cases panelists where asked last minute. Some of the highlights included a very critical panel on queerbaiting, which really made me look at subtext in a new and less positive light. I tend to view subtext with my queer reading goggles on, but the ways in which media tap into queer potential – without ever fulfilling this – are quite real. I recognized this from Once Upon and a Time and other fandoms that I am in, and I know that it hurts. It was good to see this spelled out critically, rant about it, but also think through it. More general panels that I visited, where the ones that starred authors that I liked. Gail Carriger (author of Soulless) gave a great talk with another writer on costume and fiction, which discussed how costumes could feed into characterization and gave young writers tips on how and what to research. Another panel that stood out was a fan studies methods panel which critically reflected on fans as scholars and discussed emerging methodologies in our field. Overall, I had a good time, though I was a bit unsettled at points too. Many panels were structured around the convention’s theme of inclusivity, which turned out to be sensitive for some. Audience members were not always polite and did not always understand some of the gender/race/queer concerns at hand, that panelists addressed. In some cases, people went to great length to defend their favorite fiction or to make a point. I understand that we all have different backgrounds and this was a truly diverse and international group of visitors, but it made me sad that the convention was not always as inclusive as I would have liked it to be.